What Makes the 2019 Mazda MX-5 Miata So Much Fun? Growing up I always thought what made a fun car to drive was based primarily on how fast it accelerates. The first number I would look up was always the 0-60 MPH times. However, as I drove more and more cars, I realized that there’s so much more to what makes a car fun beyond able to accelerate very quickly. Lightweight: A light weight vehicle is so responsive that driving anything else feels slow. 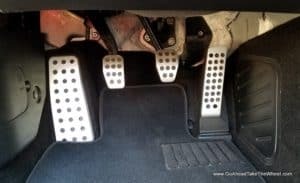 Connectivity (not the social media kind): With no driver’s aids to separate you from the road, you’re connected to everything. It’s the most pure form of driving you can experience. Speed Sensation: Since you’re sitting so close to the ground with little or no suspension, you get the ultimate sensation of speed which makes you feel like you’re going way faster than you actually are. Open Air Experience: Being at one with your environment lets you feel the wind and hear more of what’s around you, which helps you feel speed much more so than a vehicle with a fixed roof. Although the Miata is not a go kart, its purpose to us is purely for driving pleasure. It’s a street legal vehicle that embraces many of the characteristics that make a go kart so fun to drive. Weighing as little as 2,339 lbs. for the soft top manual and up to 2,499 lbs. for the RF with automatic transmission, the 2019 Miata weighs over 1,000 lbs. less than your typical family sedan. The lighter weight improves all aspects of responsiveness with quicker acceleration, handling and braking, since there’s less mass to move around, resulting in enhanced driving pleasure. it’s no slouch either. 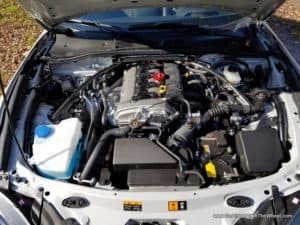 With updates for the 2019 model year including additional power from 155 HP to 181 HP (+26) and 148 to 151 LB-FT Torque (+3), and a free revving redline that increased from 6,800 to 7,500, I was able to clock 0-60 MPH in approximately 6.1 seconds in the RF. I would expect the soft top to be a few tenths of a second faster than the RF due to its lighter weight. Acceleration is linear and feels lively throughout the rev range. With the increase redline, you can now enjoy each gear a little longer which can be really useful on the track. 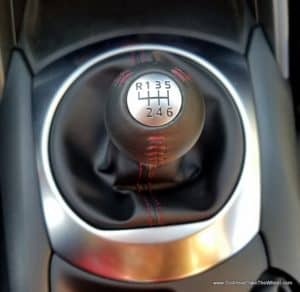 Shifting gears in the Miata is a real pleasure too. It’s one of the most precise shifters on the market. and forth between gears, not because I had to, but because I enjoyed the heck out of it and wanted to. For 2019, Mazda replaced the single-mass flywheel with a low-inertia, dual-mass flywheel. The purpose of this was to increase smoothness and responsiveness to better match the increased output from the revised motor. Although I did detect a slight difference in engagement between the single-mass and dual-mass flywheel, it’s not something I would have noticed if I wasn’t already aware of it. ou expect the suspension to be stiff and uncomfortable. 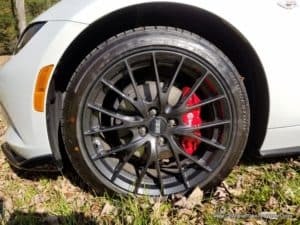 My experience in driving the Grand Touring ND1 (2016-2018 model years) and Club model ND2 (2019 model year) provides different experiences in ride and handling since the Club model with manual transmission includes a Sport-tuned suspension with Bilstein dampers and a Shock tower brace. The GT model’s suspension is on the softer side with a ton of body roll when cornering. The Club model is more firm with a jittery ride which feels more alive, but is comfortable enough to not beat you up, and has a little less body roll than the GT. I actually prefer the suspension in the Club since it feels more appropriate for a roadster. New for 2019 is a GT-S Package on GT models with manual transmission includes a limited-slip rear differential, Bilstein dampers, and a shock tower brace. The limited slip rear differential adds even more fun to the equation since it allows you to use the gas pedal to induce oversteer by throwing the rear end out when you want to. Steering feel was also enhanced from earlier NDs. Those were good overall, but felt a little numb on center, and was a little too light for my tastes. The steering now feels a little heavier, and the numb on center feel was addressed. The Miata comes with in two open air versions, The Retractable Fastback (RF) and the Soft Top. Having a choice between the two broadens its appeal. Both are fun in their own way, but most importantly, both bring you closer to your environment to help you feel and enjoy the wind, sound and speed. The soft top is the less expensive of the two, it can be opened and closed in a few seconds by hand, even while driving, and there’s less wind turbulence inside the cabin with the top down than in the RF. However, noise levels with the top up at highway speeds are pretty loud. 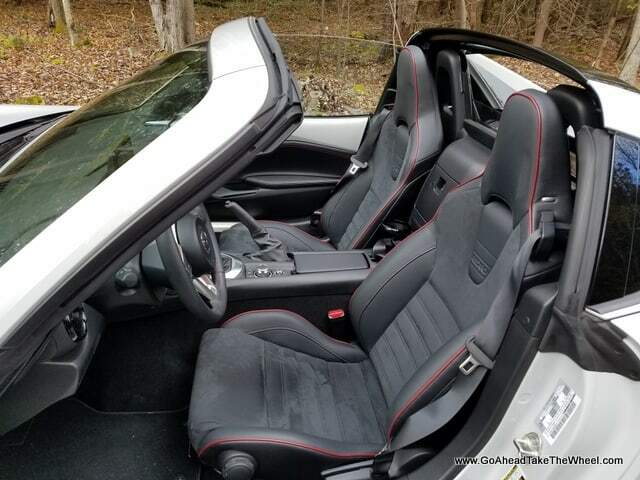 On the other hand, the RF is more expensive, it’s quieter at highway speeds with the top up, there’s more turbulence inside the cabin with the top down, the top can only be retracted up to 6 MPH and it takes more time to retract than the soft top. If the stock setup of the Miata is not perfect for you, there are plenty of options available for you to customize or enhance the performance of your Miata and make it even more fun, either for street or for racing use. 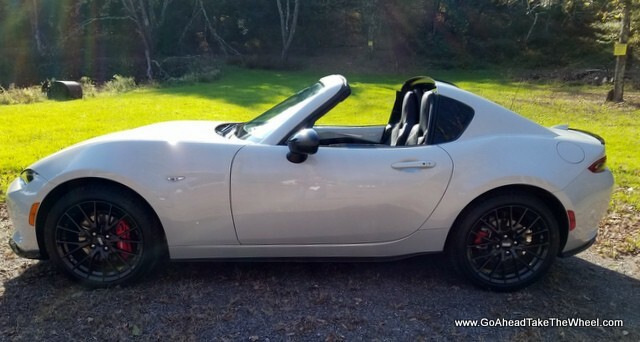 FlyinMiata.com, one of the companies who makes this resource possible, sells a wide range of aftermarket parts for engine, exhaust, suspension, brakes, wheels, body and interior. So what makes the Miata so fun to drive? Pretty much everything about it: Its open air experience, lightweight, quick and responsive, with minimal detractions from connecting you to a pure driving experience. You won’t stop thinking about it, and you’ll make excuses to drive it anytime you can.